Yin Yang advise to always patch test this product before use. As a daily moisturiser, apply it to the face after cleansing but before makeup. 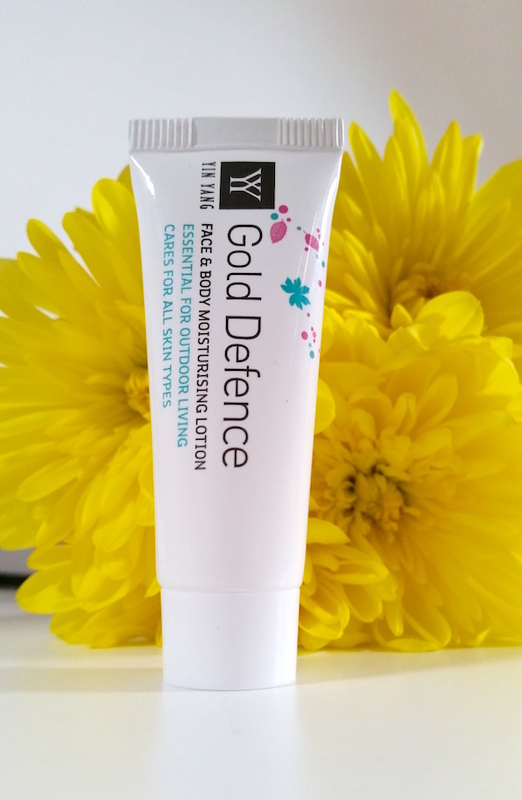 For added protection from harsh conditions, apply it lightly and evenly to the face and body before outdoor activity. As stated above, this lotion is rather watery. I therefore advise to be gentle handed when dispensing it as you can very easily end up with too much for your needs. Whilst this lotion contains lavender and sweet orange oils for fragrance, I can personally pick up the Apple Cider Vinegar really easily too. It almost gives it a sort of window cleaner scent vibe. That is the only bad thing that I have to say about it though. Upon application, the skin turns instantly matte. It also absorbs incredibly quickly, so instead of trying to apply this moisturiser to the entire face at once, I personally apply it a section at a time. This means that you’re not applying too much in certain areas and needing to use far more than you need overall. Even though the skin looks matte, it doesn’t feel dry or dehydrated. Instead, it feels soft and moisturised. In fact, I'd say it feels really balanced. Sometimes when a product mattifies the skin it can strip oils away and cause breakouts as well as an over-production of more oil, but so far I have had no such issues with this. It can be a little odd for people with oily skin to get used to the idea of combatting oily skin with oil, but it really does work. Obviously it depends on which oils you use. 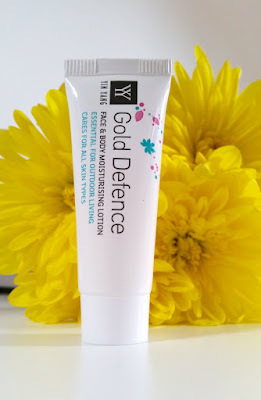 Going into too much detail here is pretty much a whole new post in the making, so for the sake of keeping the review straightforward and on point, this moisturiser contains the good ones. Also, unlike a lot of other moisturisers that help to tame down oily skin, this one actually carries on working past the first hour or so where a lot of other products begin to fade away. When I'm makeup free, I find that this lasts out for pretty much the entire day. However, when I do wear makeup, I sometimes find the shine does come back, but it still lasts longer than other products do. The problem here also depends on what kind of makeup is worn and what they contain that can contribute to the re-appearance of shine. Is this the best moisturiser for oily skin? It’s definitely a contender! I know that I'm really loving it and if you have oily skin too then I highly recommend that you try this. If you are at your wits end like I have felt on many occasions in the past, try it. Even if you're not, still give it a go. You may just find your perfect match. 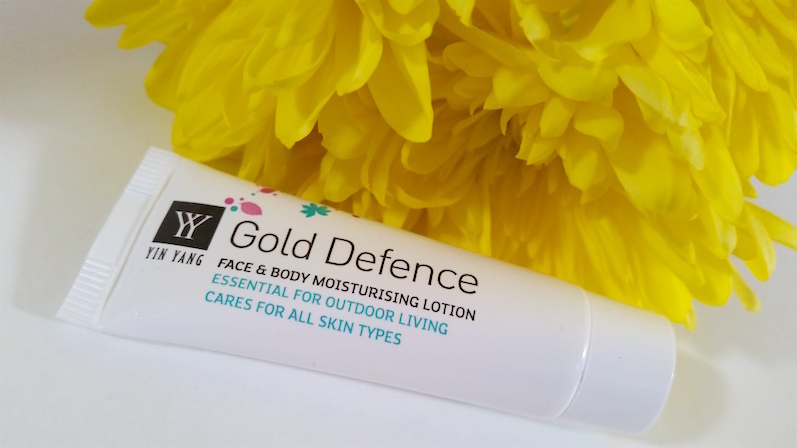 You can purchase the Yin Yang Gold Defence Lotion for £16.89/200ml (RRP is £17.95) from Holland and Barrett. What are your thoughts on the Yin Yang Gold Defence Lotion? What are your favourite moisturisers for oily skin?